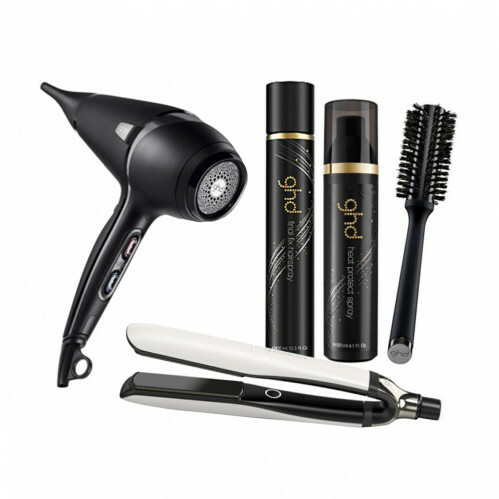 Save £50 on this exclusive ghd Platinum+ White and Air Bundle, worth £316.90. A must have for your hair! Ramp up your styling experience and make drying and straightening your hair easier with our exclusive ghd Platinum+ White and Air Bundle. Stylish, innovative, and intelligent are just some of the words that have been used to describe the brand new ghd Platinum+ styler. 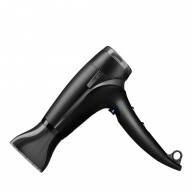 It uses ultra-zone technology to recognise the thickness of each section and the speed at which you style to adjust the heat accordingly, giving you unbeatable, personalised results. 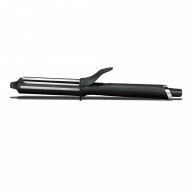 This styler is a feat in design, offering the best performance in hair styling that ghd has produced to date. 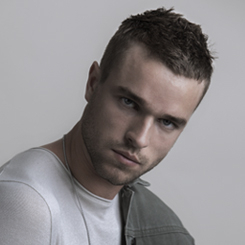 Own the world’s first smart styler. 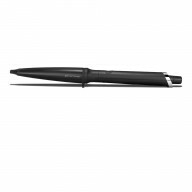 The Platinum+ comes with a 2.7m swivel cord and a 3 year manufacturer's guarantee. 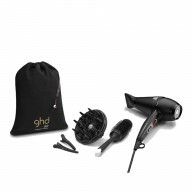 ghd AIR® hairdryer includes a concentrator nozzle and comes with a 1 year manufacturer's guarantee.